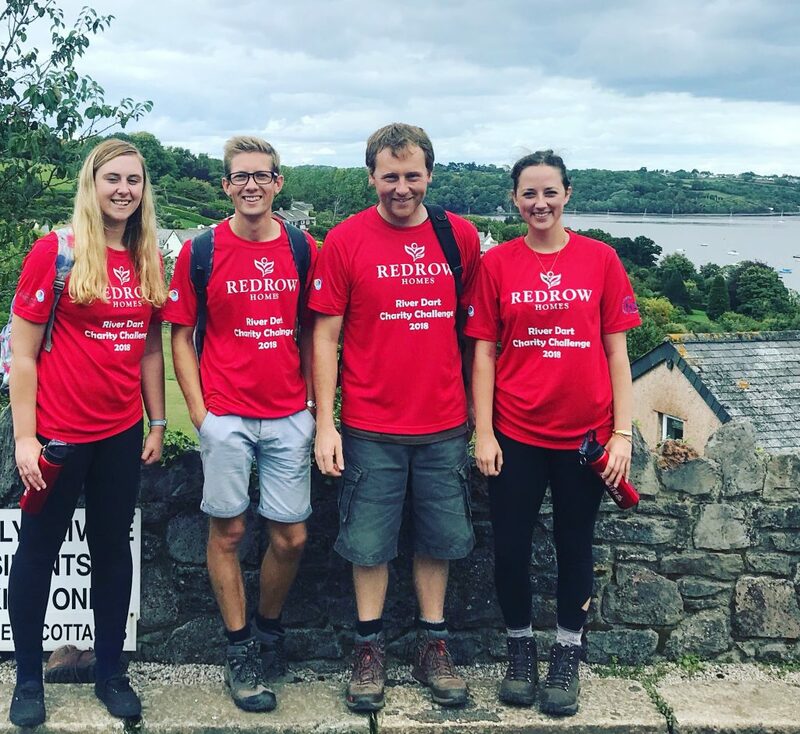 On Friday 14th September, four consultants from AES attended the Redrow Homes River Dart Charity Challenge Day to raise money for two local charities; Rowcroft Hospice and cancer charity FORCE. Jonathan, Ross, Laura and Yasmin volunteered to undertake the 12km hiking phase of the challenge. 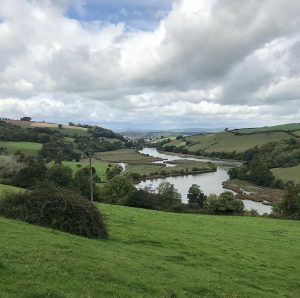 The hike started in the town of Totnes, meandering along the River Dart until finishing in the beautiful village of Dittisham. Whilst there were some tough hill climbs they were also rewarded by many stunning views of the Devon countryside. Thankfully the British weather was kind and despite a few blisters they all had a fantastic day raising money for two great causes. 50 people took part in this relay event, incorporating 4 different modes; cycling, running, walking and dragon boating. So far over £5,000 has been raised with more being collect through sponsorship. We would like to thank the staff at Redrow Homes for organising such a fantastic charity challenge and for inviting us to take part. Every year Rowcroft Hospice provide care to over 2,000 patients living with life-limiting illnesses in South Devon, completely free-of-charge. Rowcroft’s specialist and dedicated services include a 12-bedded Inpatient Unit (IPU), community services, a 24/7 Hospice at Home service to care for people at home in the last two weeks of life, and outpatient services. The total cost of running our services is £8m per annum, with a 29% contribution from the NHS and so more than 70% of their services are therefore funded by donations. FORCE (Friends of the Oncology and Radiotherapy Centre, Exeter) provides a vital role in providing local cancer services. FORCE has contributed more than £10 million to improving the quality of treatment and care available in Exeter for cancer patients and their loved ones. FORCE have funded £2 million worth of state-of-the-art equipment and anyone treated for cancer locally is likely to have benefited from hardware purchased by FORCE.